Kasco Marine 2400AF200 Btm Scr Surface Aerator with Float, Bottom Screen and 200' Cord - 1/2 hp | Fountain City Art Ctr. Introduce more oxygen faster with a 2400AF Surface Aerator complete with a bottom screen. The high-performance design of this aerator uses a single open propeller that creates and pushes water droplets into the air allowing efficient transfer of oxygen to the water. Agitation and movement created by the process spreads the oxygenated water throughout the body of water. These units can operate in as little as 15 in. of water. 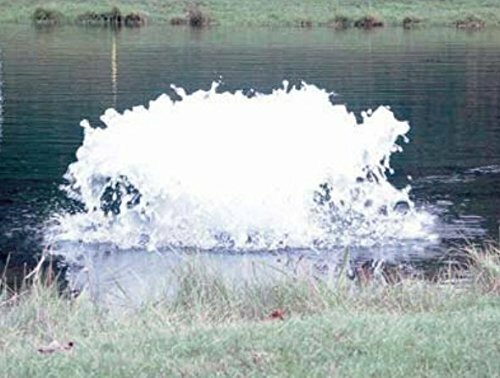 The 2400AF Surface Aerator is ideal for ponds/tanks with surface areas of about 3/4 acre.